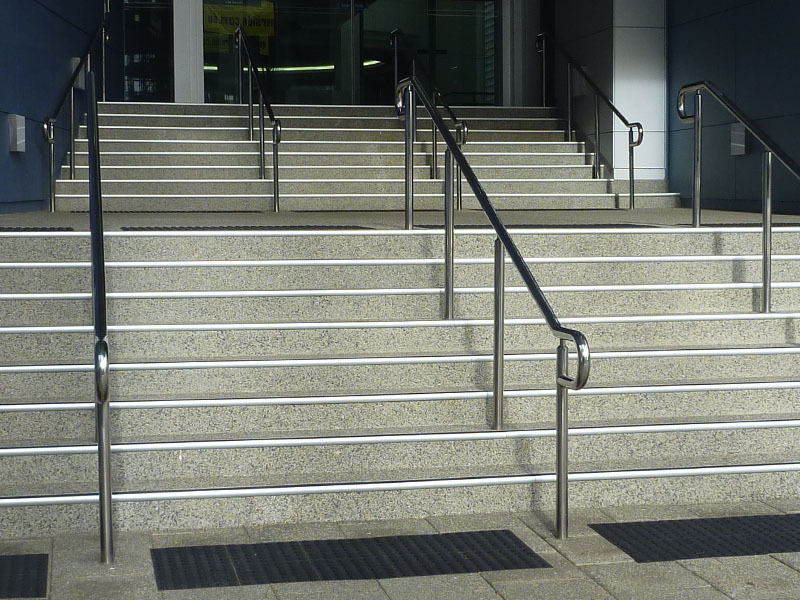 Guardian aluminium nonslip stair nosing comply with all Australian safety standards whilst presenting an aesthetic look for architectural design. 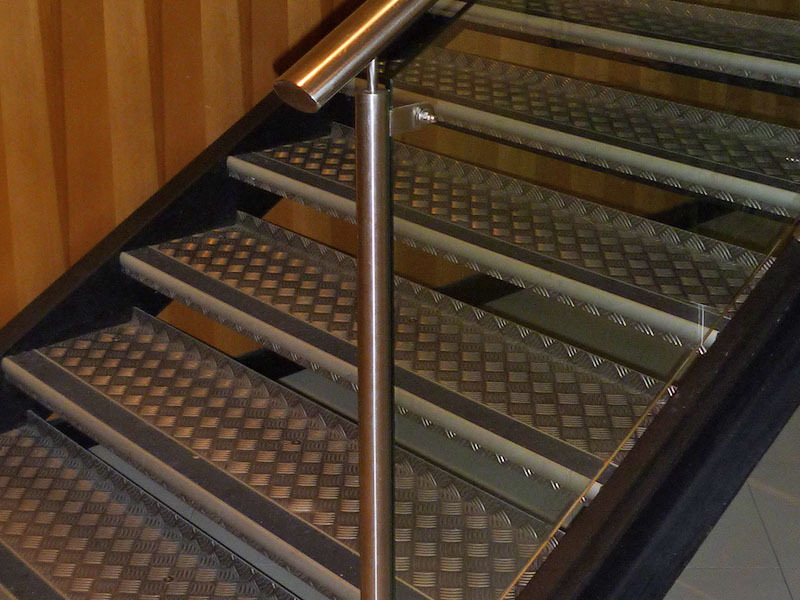 Guardian aluminium stair nosing are protected with a 15 micron anodised coating. 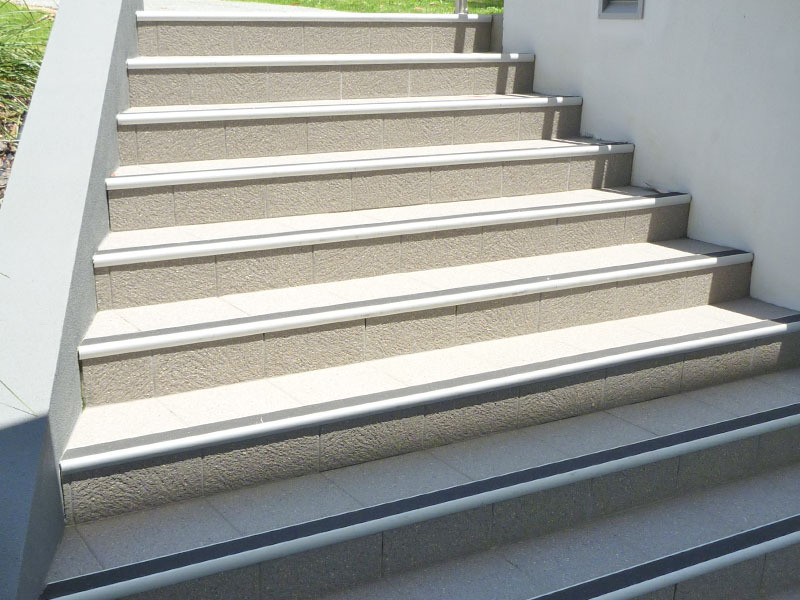 Stair treads are available in full 5.8 meter lengths or supplied pre-cut and pre-drilled to your requirements. 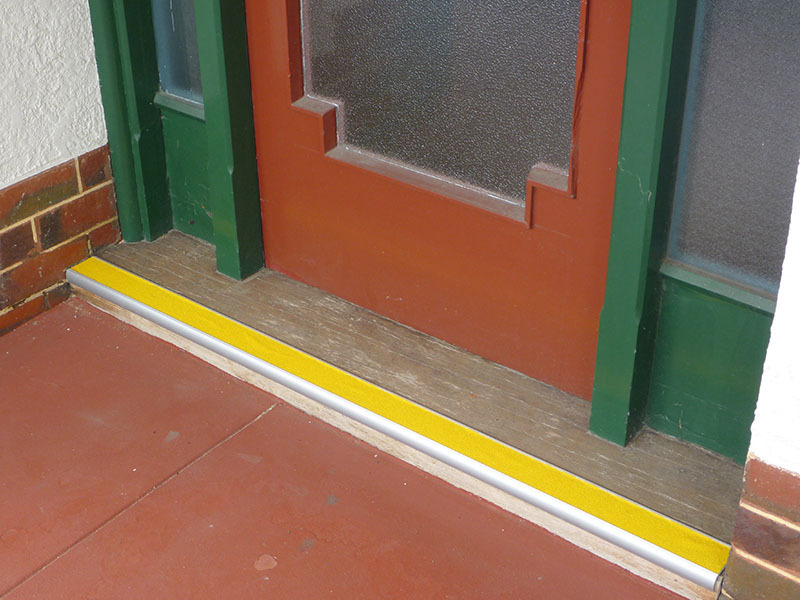 They can be installed with fittings, adhesives, or supplied with Guardian’s Peel, Bond & Walk technology. 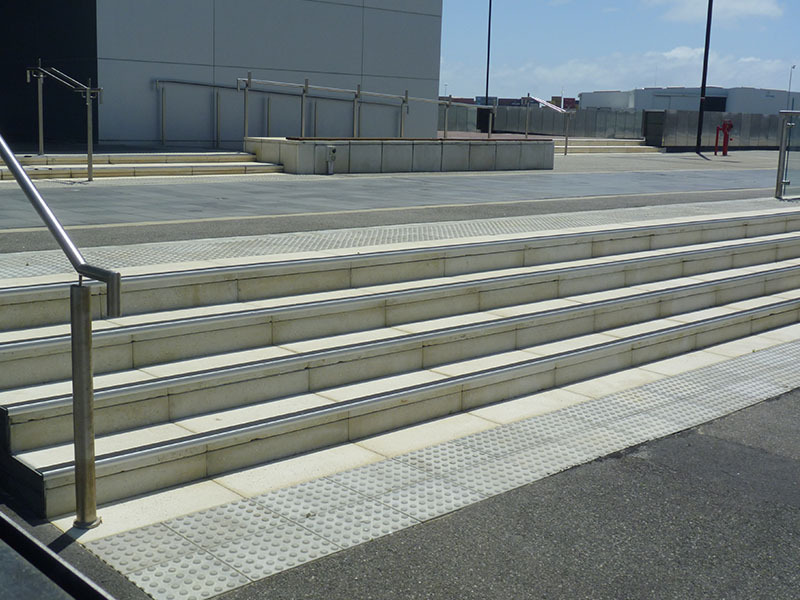 All Guardian products meet, and in most cases exceed requirements set out in Australian Standards AS1428.1:2009 and National Construction Code (NCC), formally known as the Building Code of Australia (BCA). 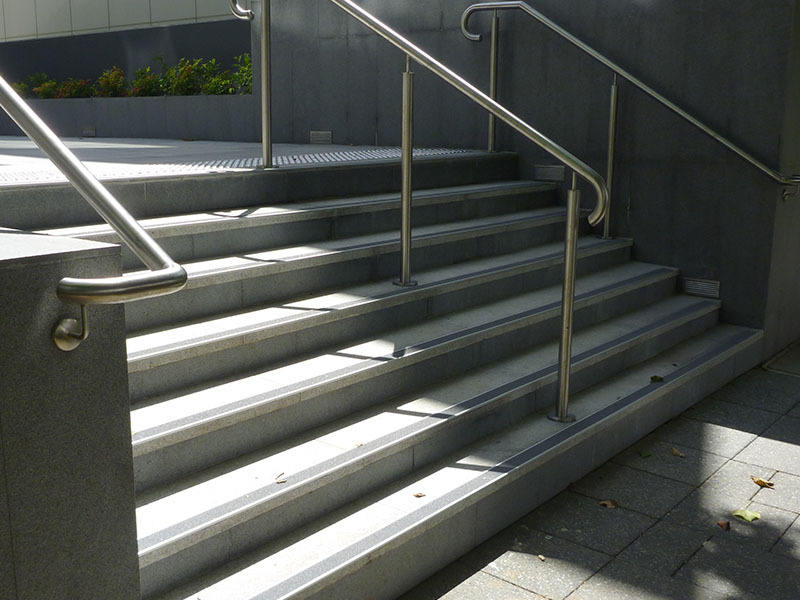 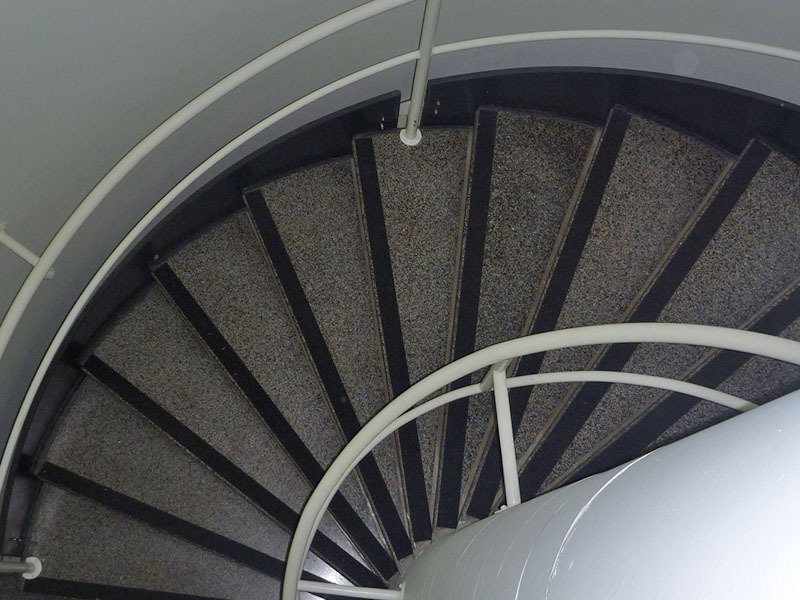 See examples of where Guardian Tactile Systems have installed aluminium nonslip stairnosing.